Isn’t it funny how you change your ideas about a particular style? I’ve never been one for short trousers, preferring them to be super long and sweep the ground if anything, yet here I am lusting after all the variations of cropped trousers currently showing. My first foray was a pair of black linen culottes the summer before last, and this time it is a pair of stretch cropped flares. I wanted these to be a quick make, to check that I liked the silhouette on me before investing too much sewing time. I used my stretch trouser block with some added flare. Normally on a nice wool/elastane like this I would do a fly front with a proper waistband, but when you only have a remnant of around a metre some serious shortcuts are necessary! A scrap of black stretch cotton was used for the waistband, and with some 50mm elastic inserted it has a nice flat finish sort of like a yoga pant. Over the last few months my supply of black thread has dwindled down to a meagre four cops, and two of those ran out as soon as I started overlocking the edges! Instead of choosing the closest match, like charcoal or something, I chose to switch the needle thread in my overlocker to bright orange. I like the effect, and it helps to use up all those weird coloured threads that you end up with, and boy do I have a lot of those. I see more contrast overlocking in my future! The length of these trousers was 100% determined by the length of my remnant. I squeezed out every last millimetre, and the length worked out just as I hoped. I love this length, and now I am officially a cropped trouser fan – I think I need more! How about you guys – do you like this silhouette in trousers? And have you ever overlocked things in the wrong colour too? That’s a great idea to use two different colours to check the tension! I have blended colours when I was short of thread, and you can get a reasonable match if you are lucky! Super stylish and love how you’ve styled them. Hi Sheryll! First off, thanks so much for writing this blog! Your post on the sway back adjustment helped me understand an adjustment that’s pretty crucial for me most of the time! I’m glad you enjoy reading Kalimak, and that my sway back adjustment article helped you! I wear my culottes a lot more than I thought I would – you should definitely try some! I think the secret is in the styling – the right top and shoes make a big difference. I think you’ve styled these perfectly! I haven’t craved a cropped flare myself (long legged here… pants were always too short, so I have a bit of an aversion!) but I love this outfit. 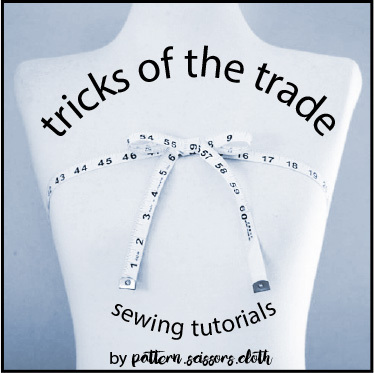 And I do that bit with my serger thread all the time. I like my loopers to match, but the stripe of contrasting color is fun! Thanks Lisa, I work with a long legged colleague, and she feels the same as you about cropped pants – must be a thing! Logical me thinks that in the right proportions they should work for everyone, but I could be wrong! They look good and super cute with the boots. This is my favorite length and style of pants! (Recently, I had to force myself to make a full-length pair of jeans because my ankles were getting cold in the winter and fall.) It looks great on you, and I like the bit of flare at the hem. Thanks Morgan! I’m planning on making a longer pair too, but luckily it doesn’t get too cold here and my ankles haven’t got frostbite (yet!). Love the looks and great fit. They are great for exposing some awesome shoes – like the ones you have been making Carolyn! I like how they show some of my ankle boots, which are half covered up when I wear full-length trousers! Loved it! I think it’s a modern piece. cropped everything is in, and those pants look fab. plus, you’d be able to wear it with almost anything. Go you! They do go with almost everything. I consider them a wardrobe staple now, in fact I don’t know how I did without them!